I spend my days with normal three, four and five year olds, but their normal is different. I’m the Education Director at a non-profit preschool for highly capable children. If you visit my preschool you might catch the kids acting neurotypical: sharing toys reasonably well, asking a teacher for help with the tape dispenser, talking about Star Wars. But catch them at other moments and you will see and hear things that reveal they are not like other preschoolers. Our children complete a graph each morning on their way into the building. I tend to keep the questions simple: “Do you have a dog?” Before morning sing-along I tally the answers with the kids and we talk about what the numbers mean. That’s all pretty normal for an early childhood classroom (except for their frequent references to infinity). I try to stump the fence-lovers with solidly binary questions. 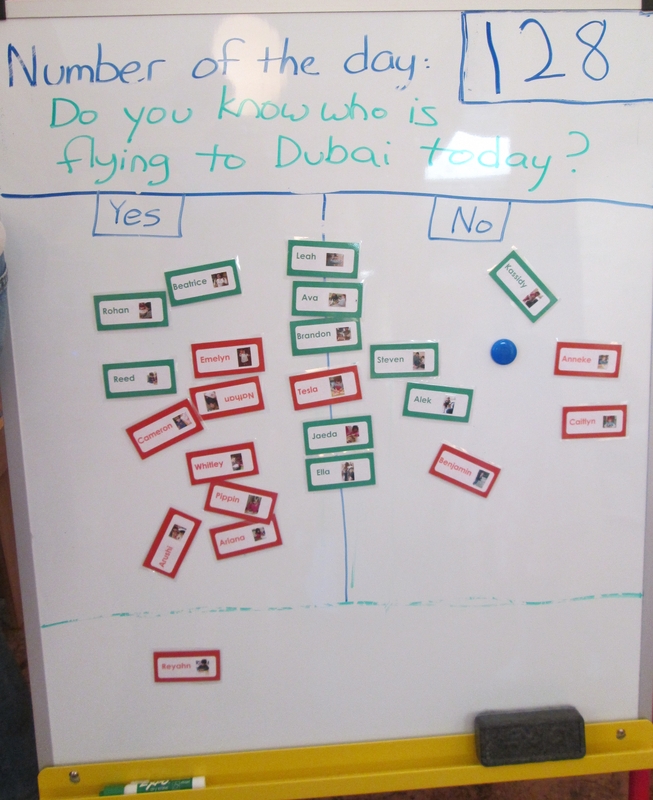 One morning the Daily Graph asked, “Have you ever been on an airplane?” As the kids entered class they moved their magnets to Yes or No – except E, who read the question with her daddy and quickly put her magnet on the fence. That logic was good enough to keep E’s magnet on the fence. We have to teach gifted children to conform just enough to not incur the wrath of society. Being different can be messy and challenging; it can cause upheaval to well-laid classroom plans. But when I encounter a child innovating it fills me with joy – it is why I love teaching.